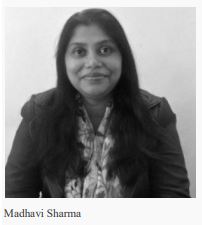 said Madhavi Sharma, the Director of the foundation. spend more time on Mobile, WhatsApp etc. When students do not find any friend, the books will play the role of their best friends. The inculcation of a reading habit will certainly help students to handle negative emotions.” Another important aspect of the inauguration is the volunteering part of students, teachers, working people from various industries, housewives, retired people and the likes. 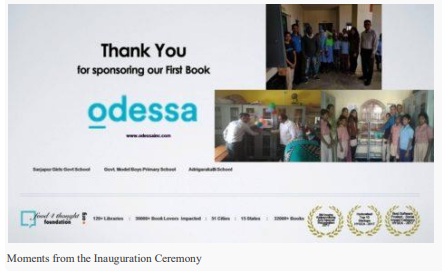 The volunteers from Odessa have come forward to give their valuable time to these schools and community libraries on weekends, and help spread the joy of reading among students and readers. The time-table of these volunteer visits are being currently developed. these books are trying to play the role of a bridge between the urban and the rural readers and improve the education system,” she signed off.